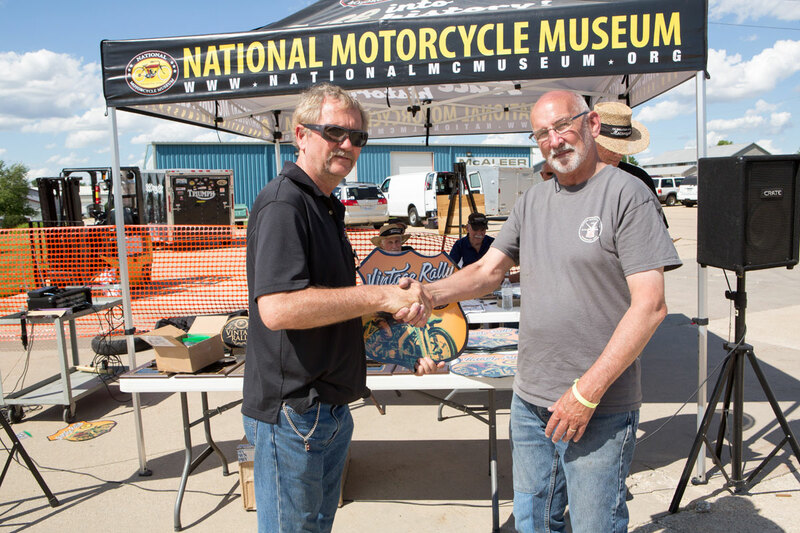 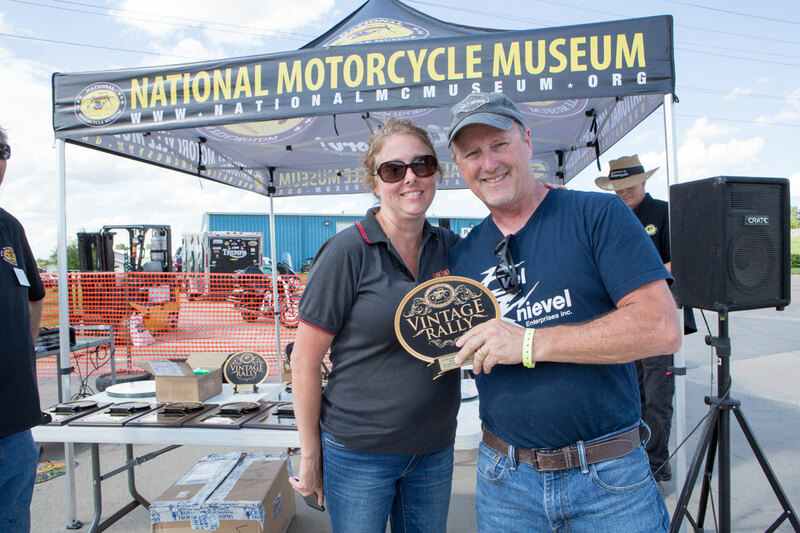 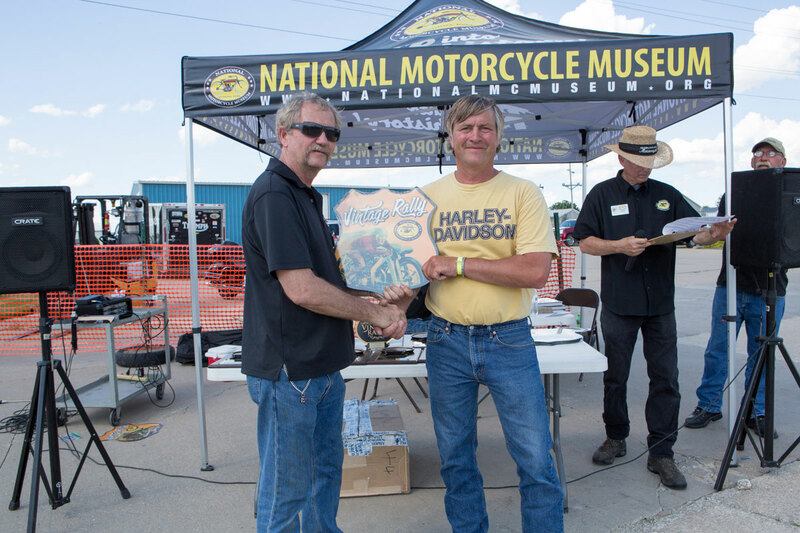 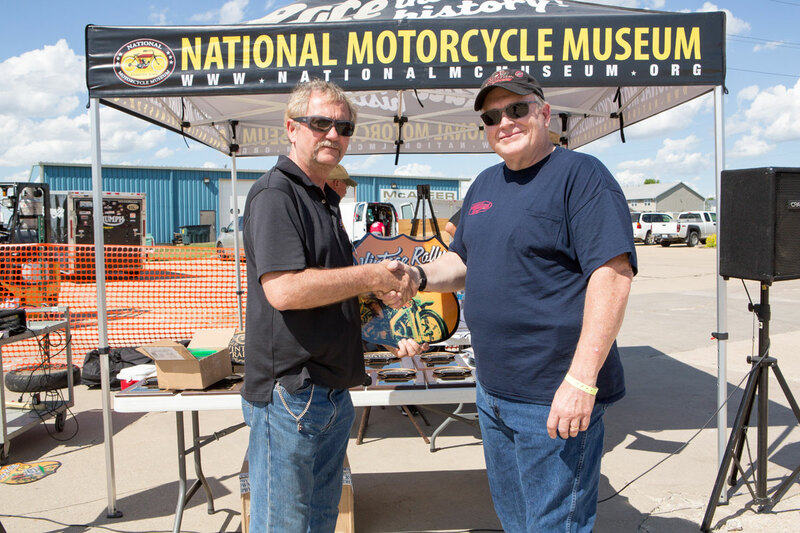 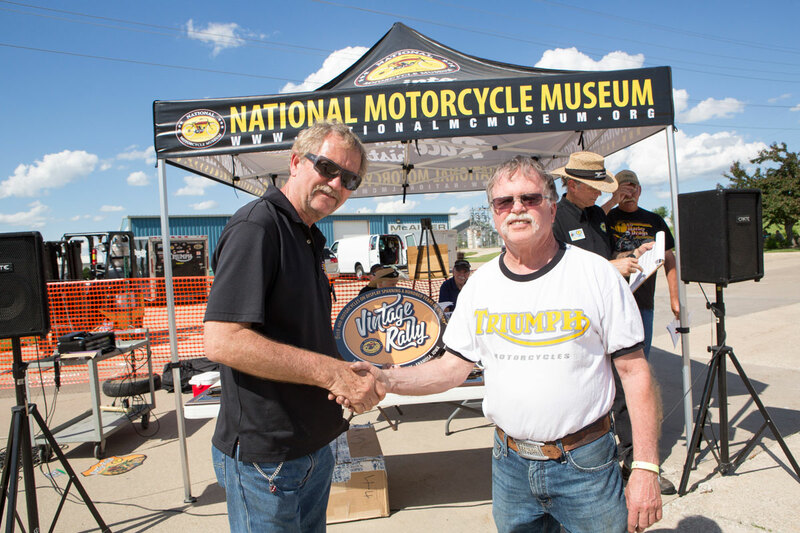 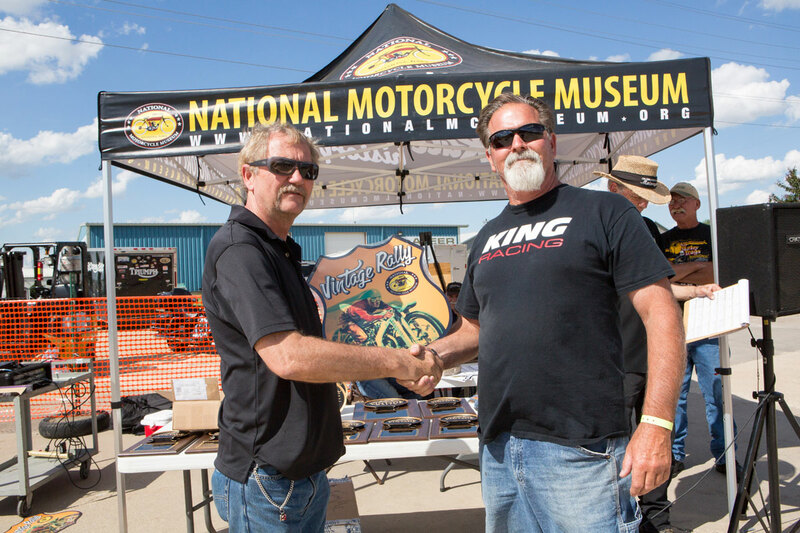 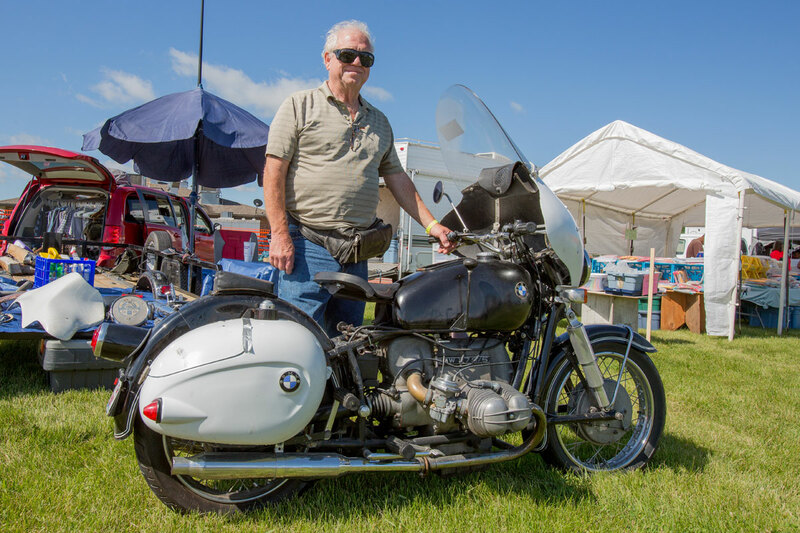 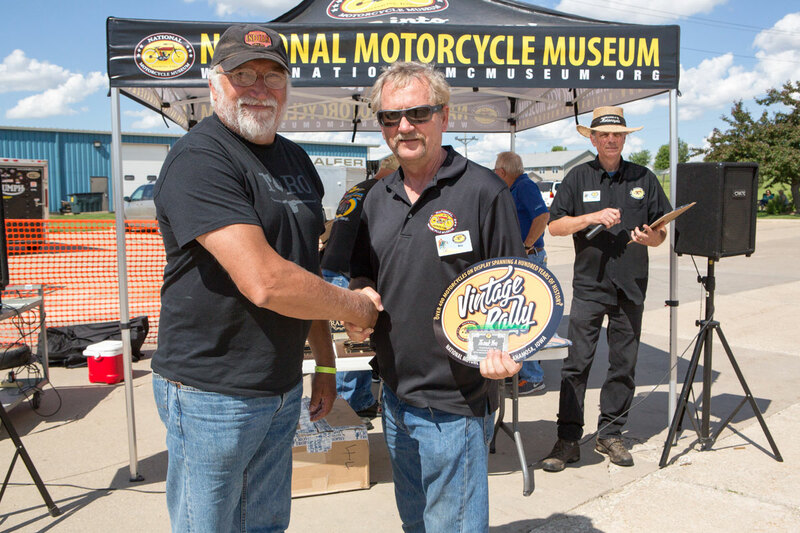 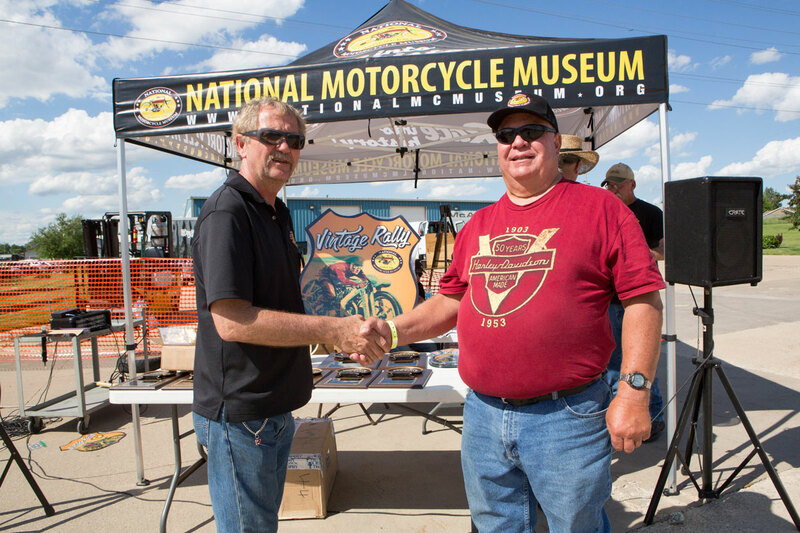 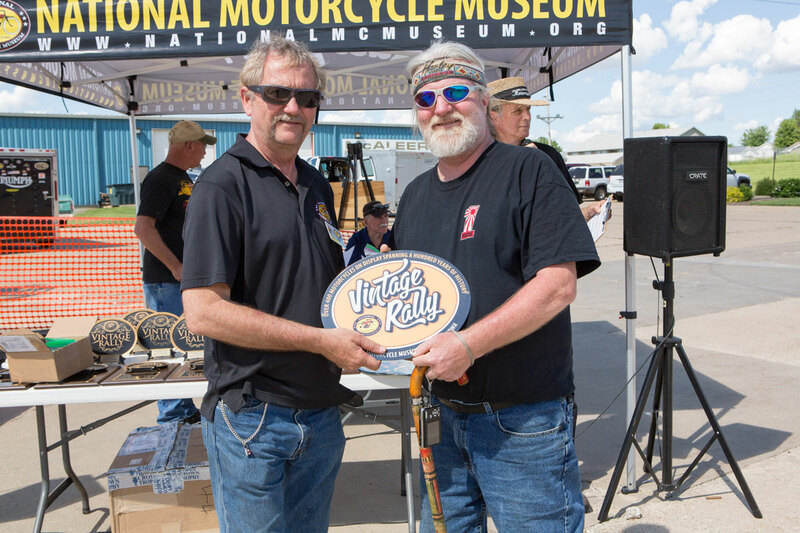 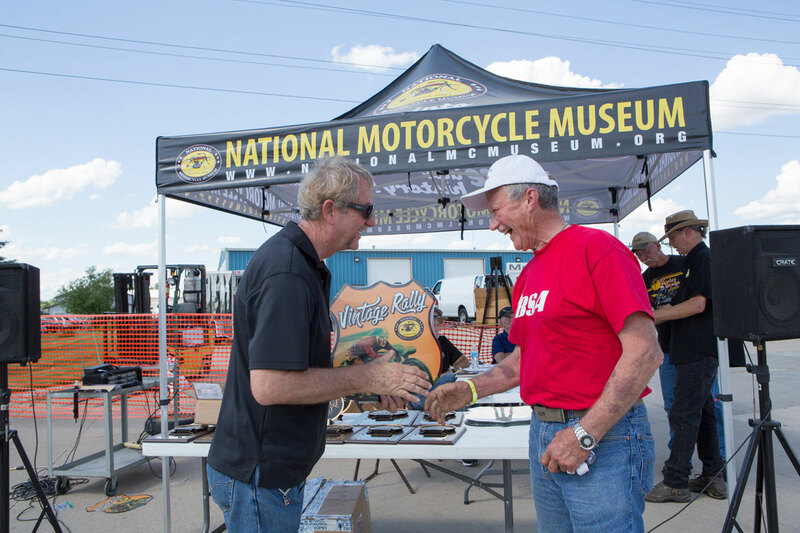 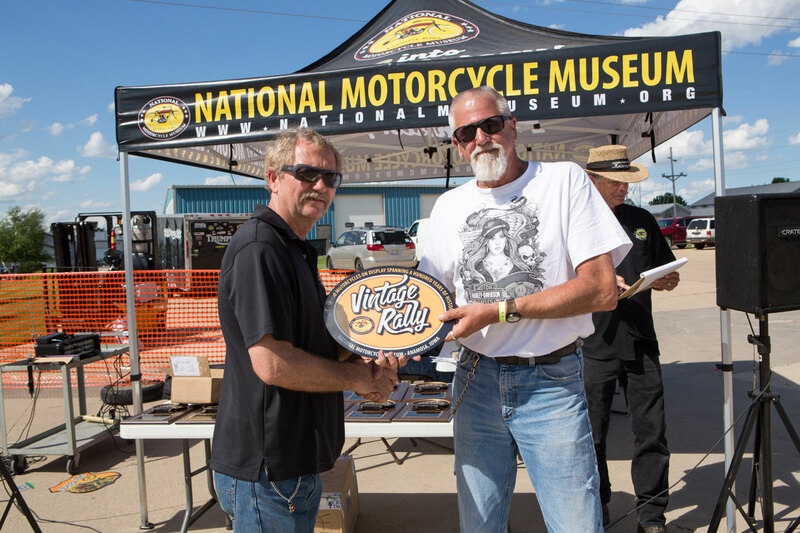 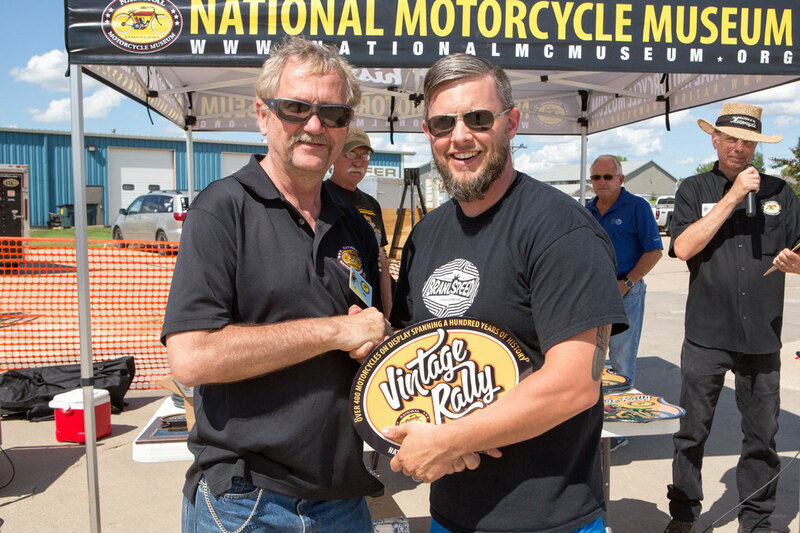 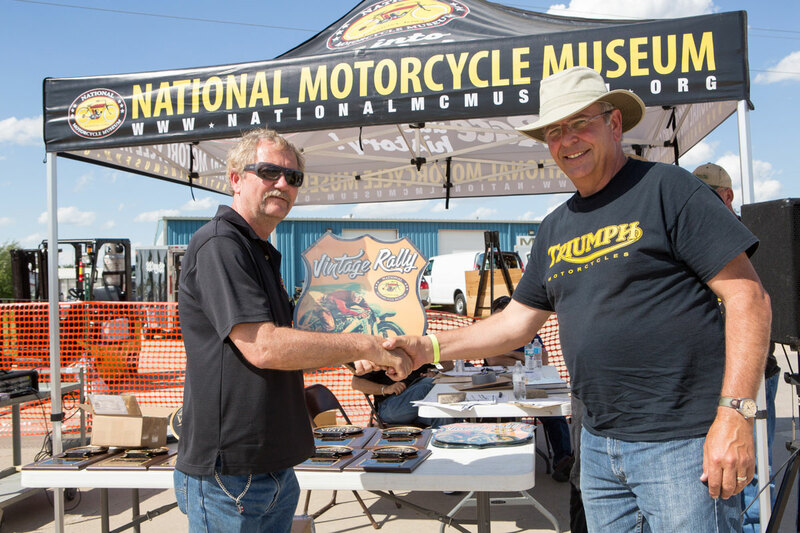 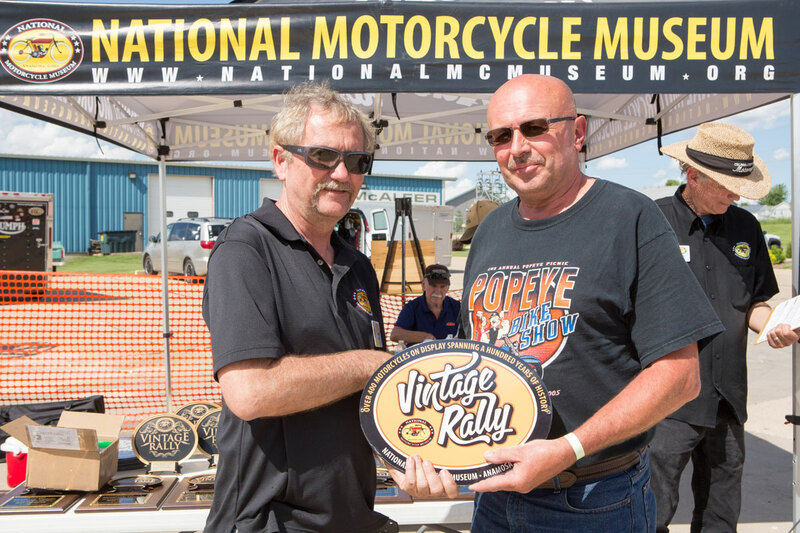 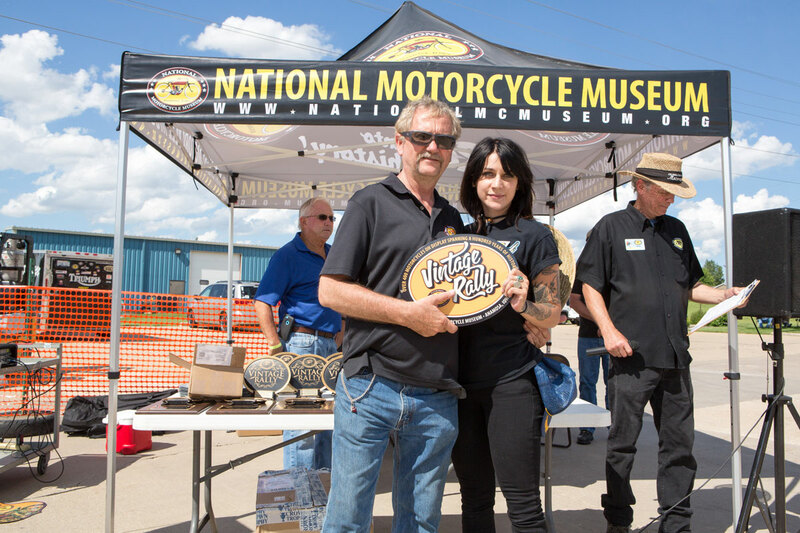 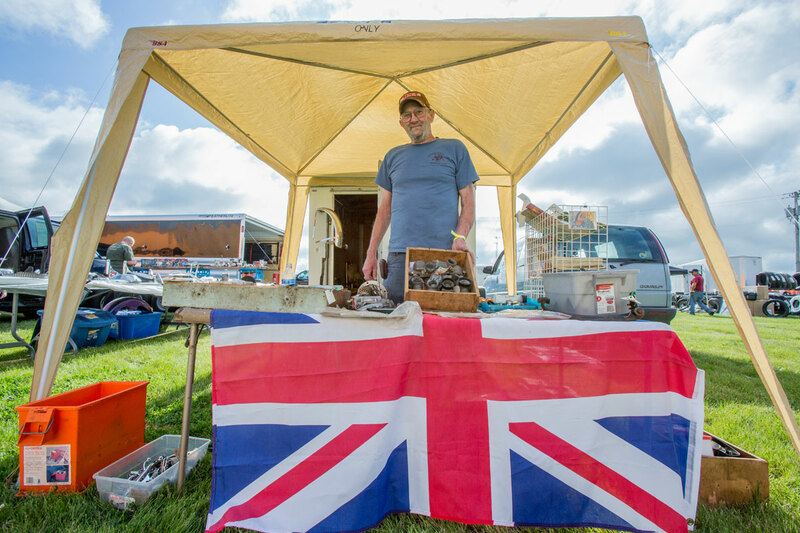 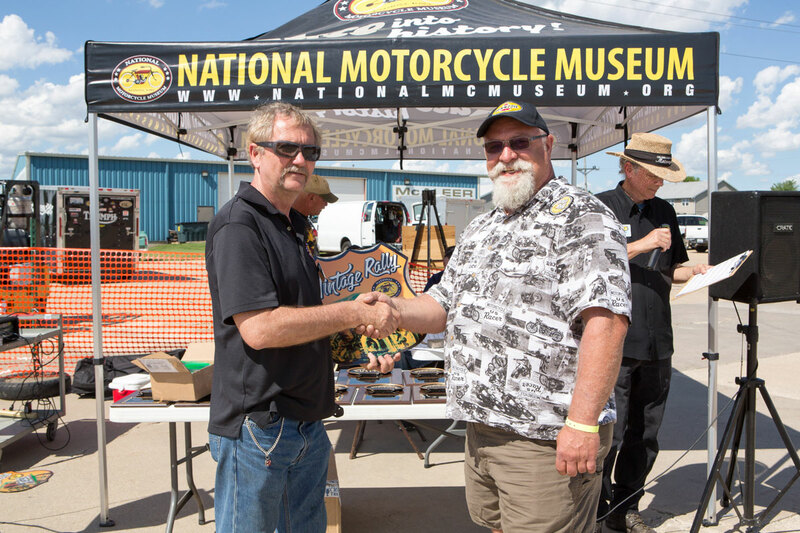 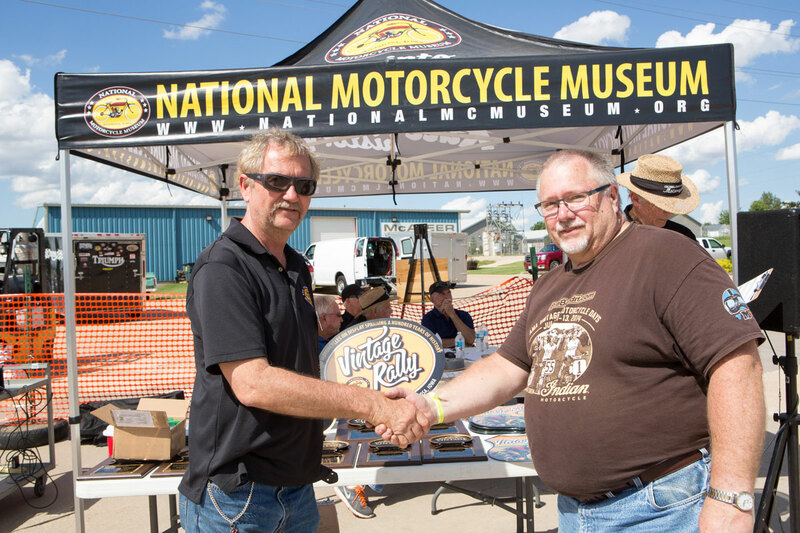 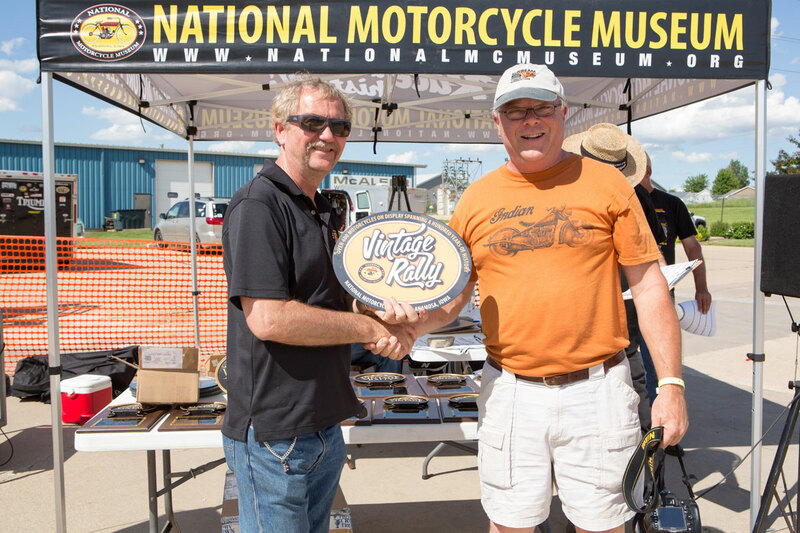 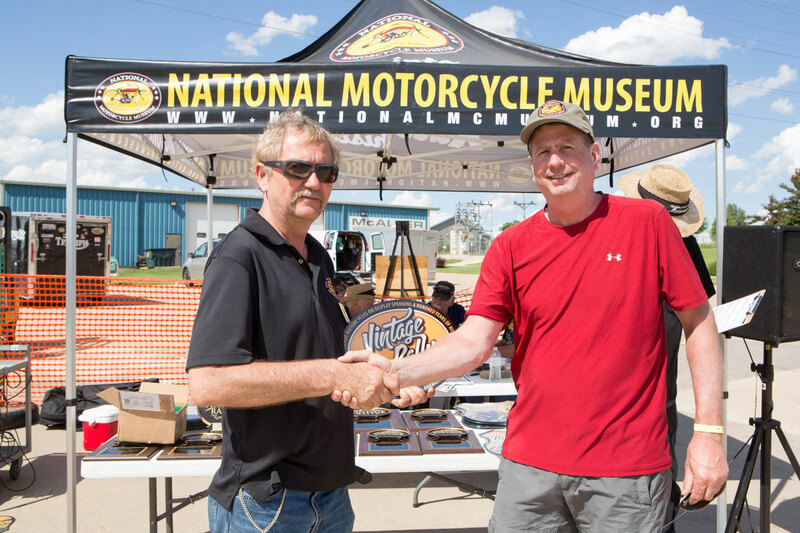 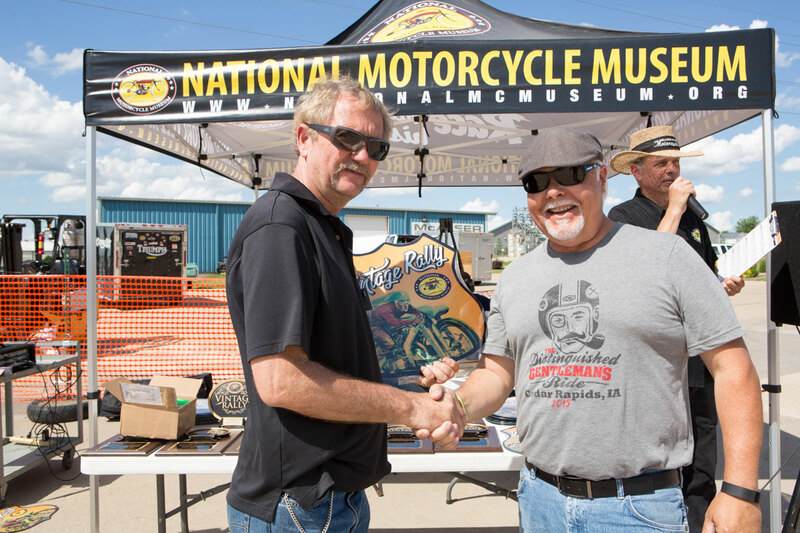 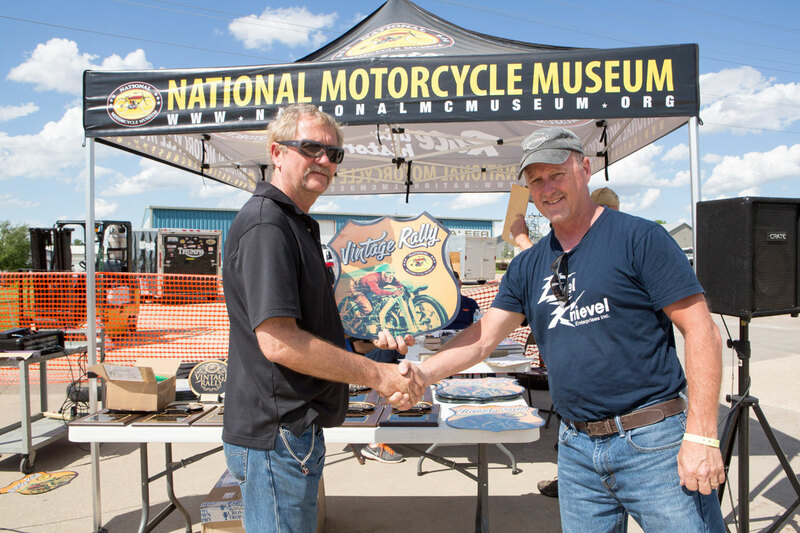 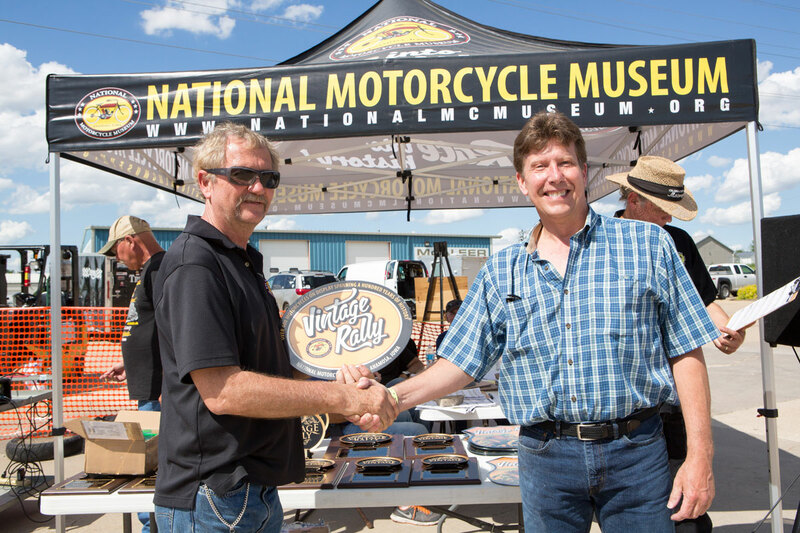 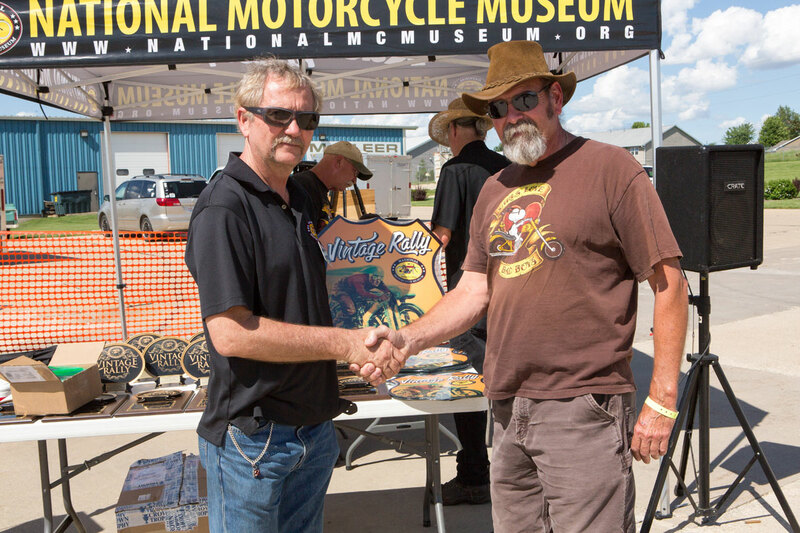 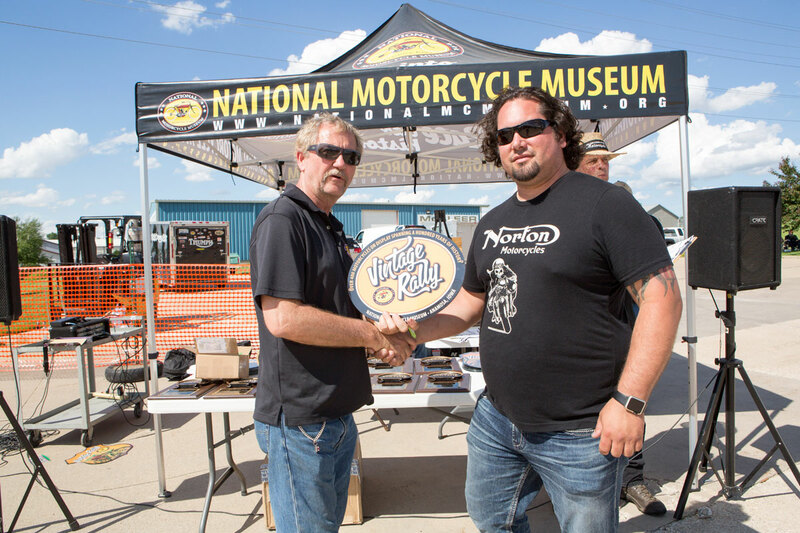 The sixth annual Vintage Rally at the National Motorcycle Museum was a supreme mix of people and motorcycles. 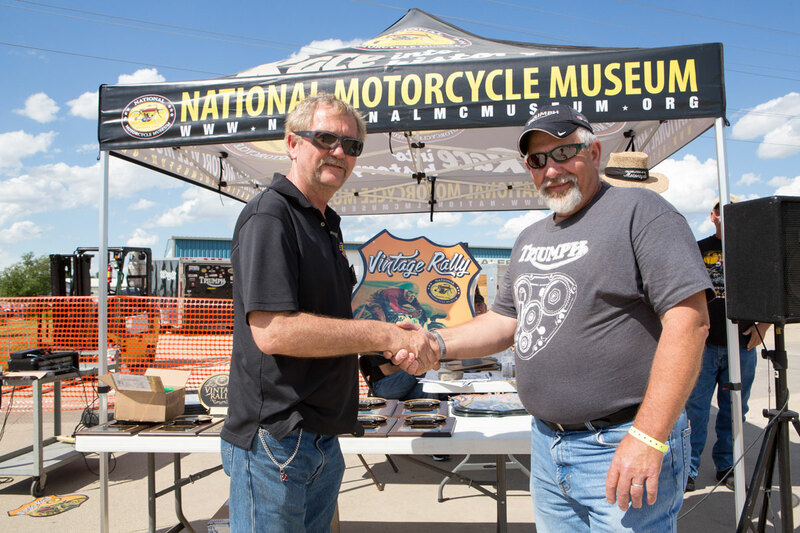 We had gorgeous weather and the largest turn out of Bike Show entries and the most vendors ever. 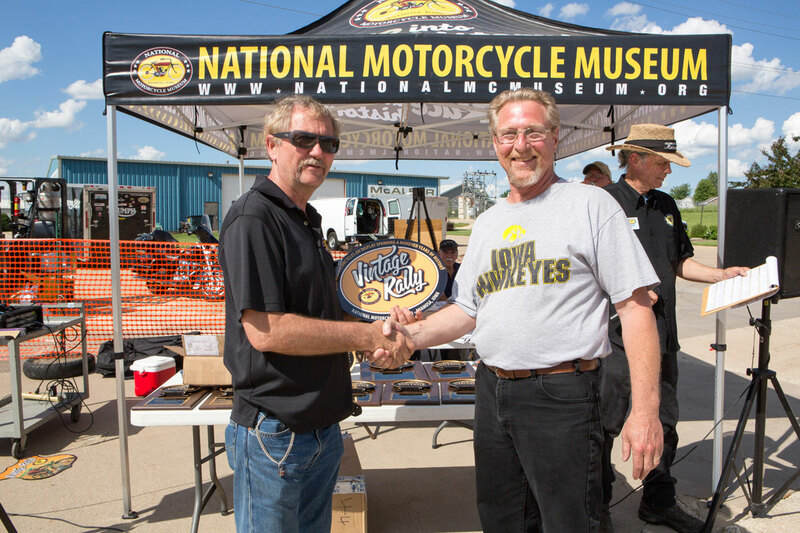 It was a great day at the National Motorcycle Museum! 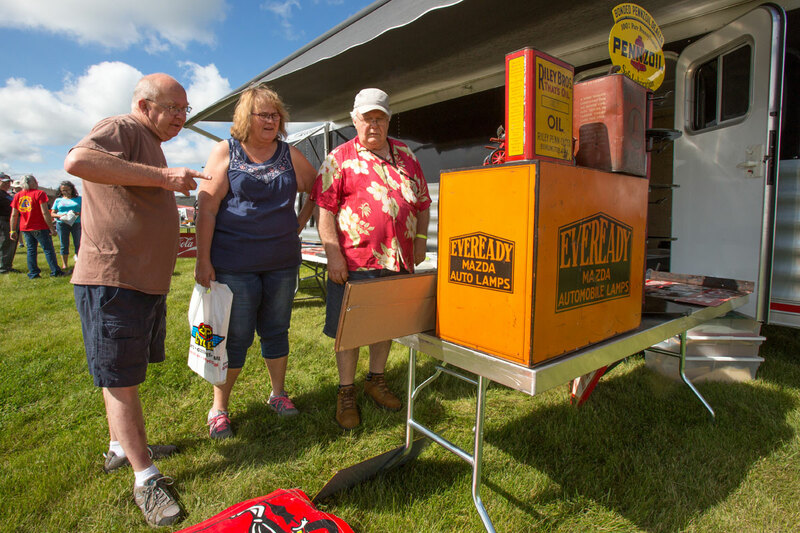 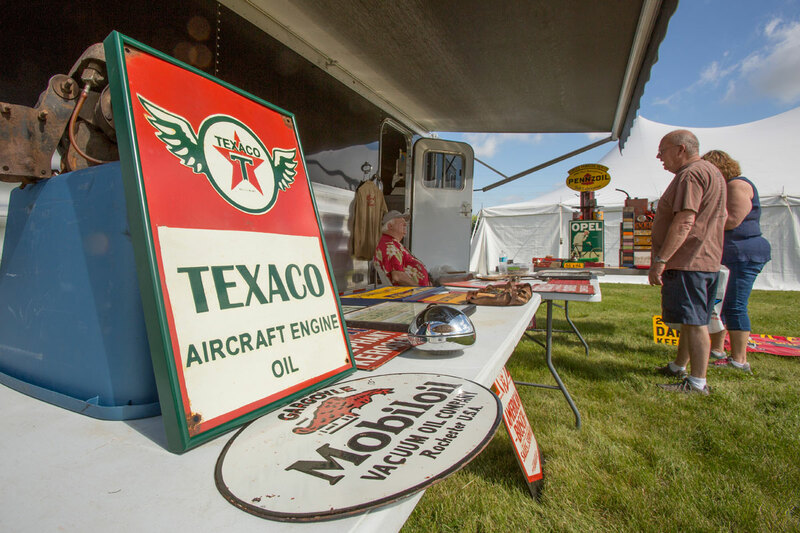 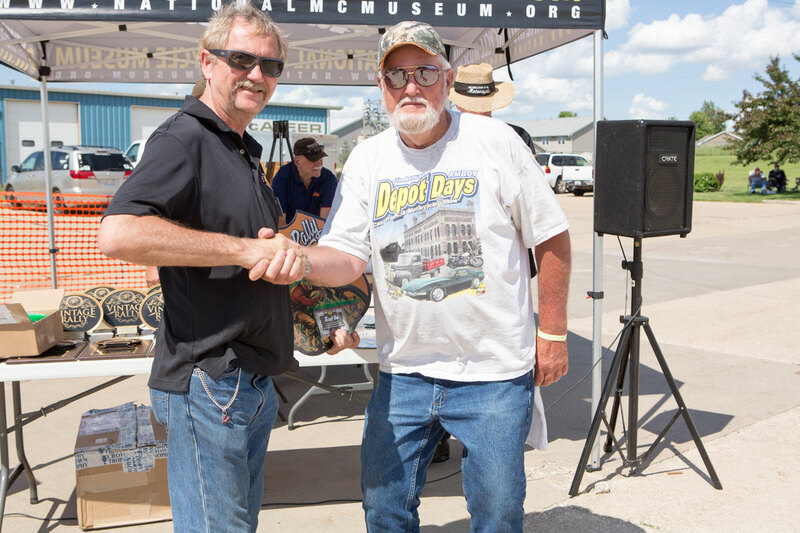 Vintage Rally also treated visitors to the first showing of a new Museum exhibit. 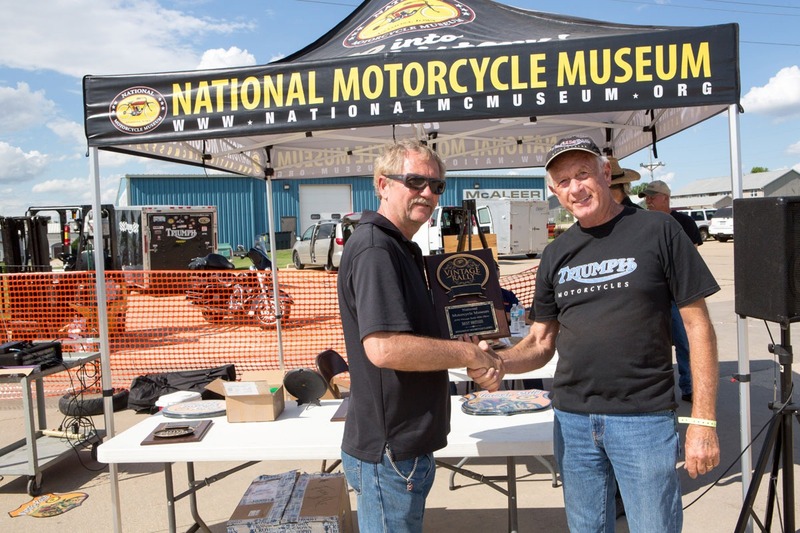 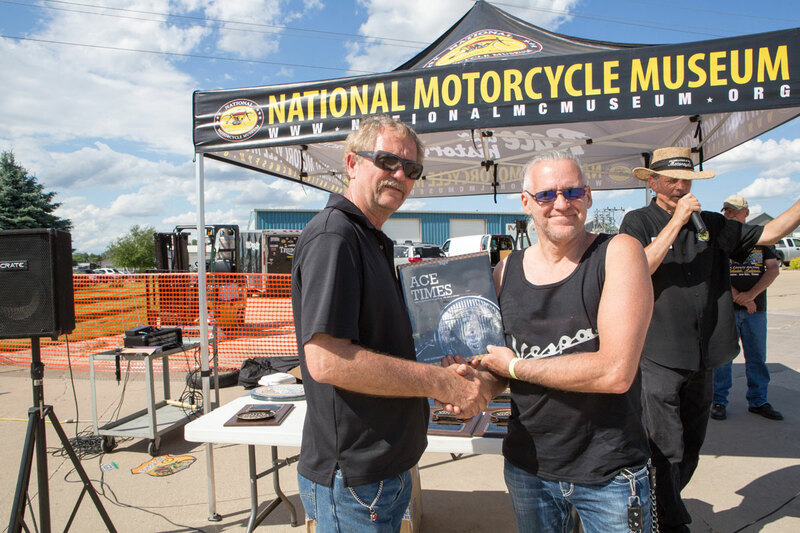 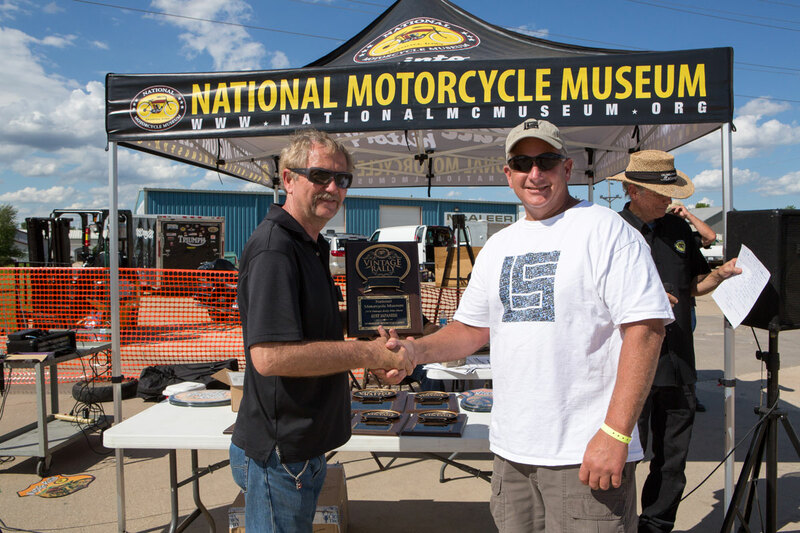 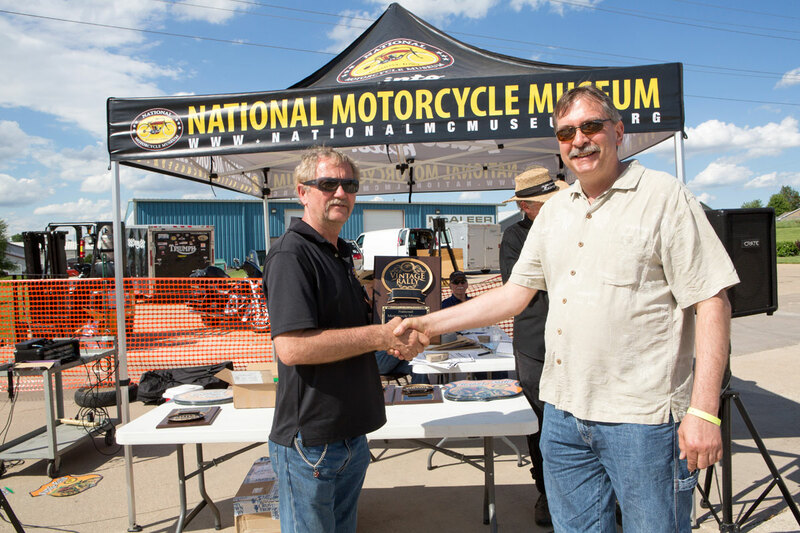 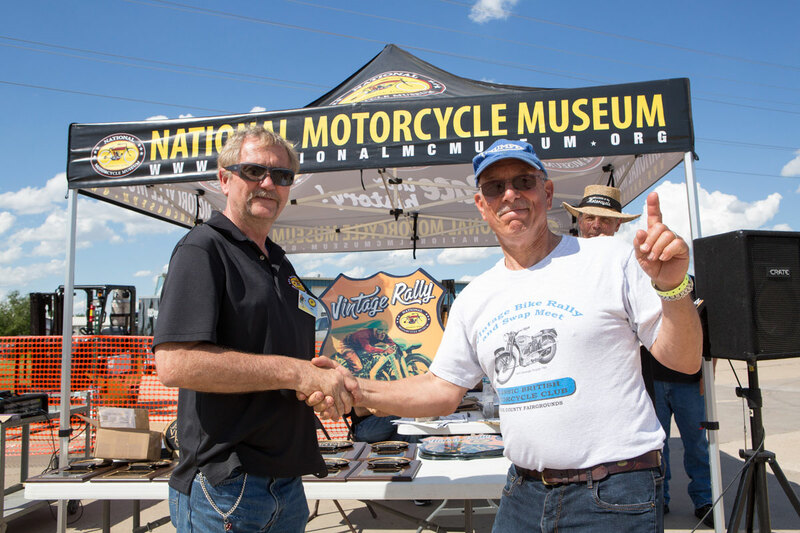 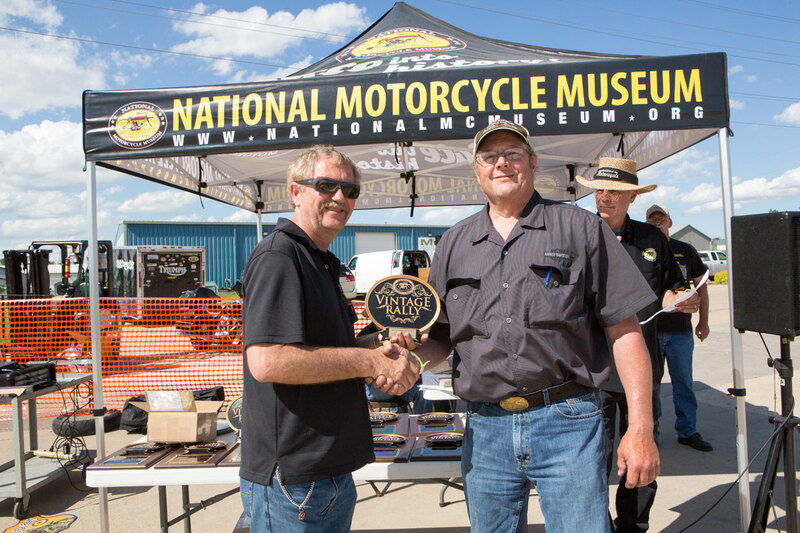 This year the special exhibit theme is Land Speed Record competition, and Allstate Motorcycle STREAMLINERS presented by J&P Cycles is the exhibition. 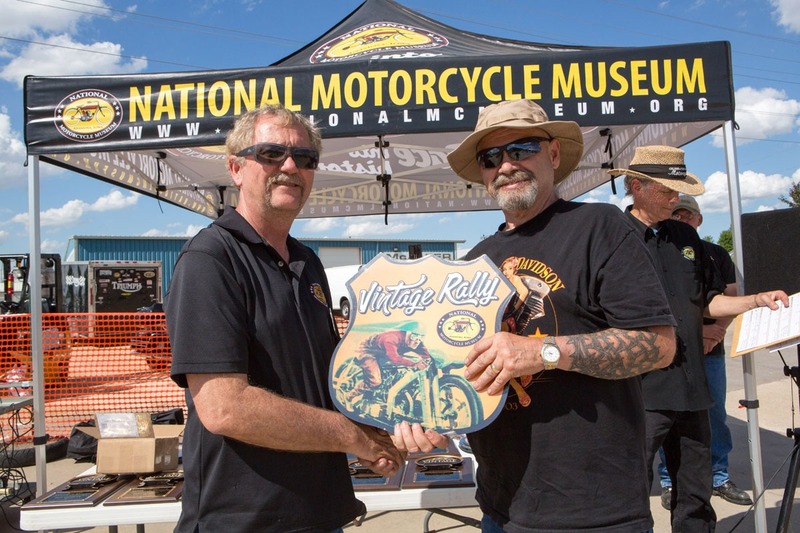 About 18 bikes and memorabilia tell the story of LSR competition even back into the 1930s. 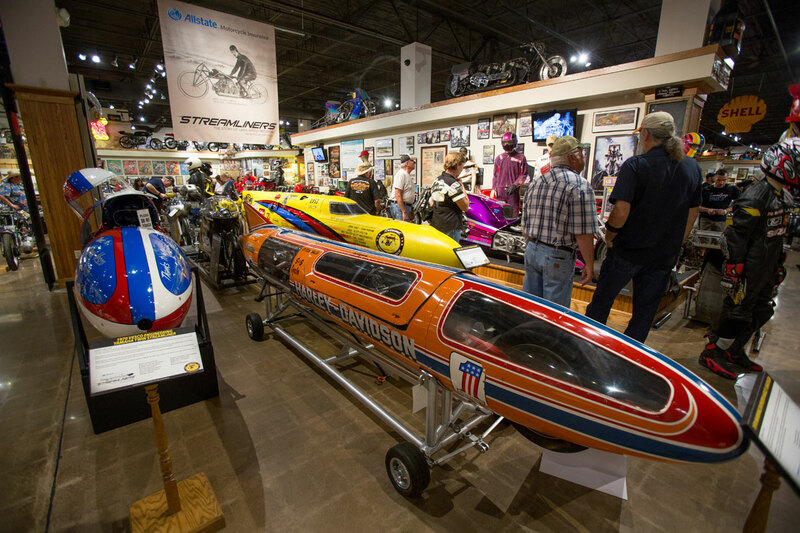 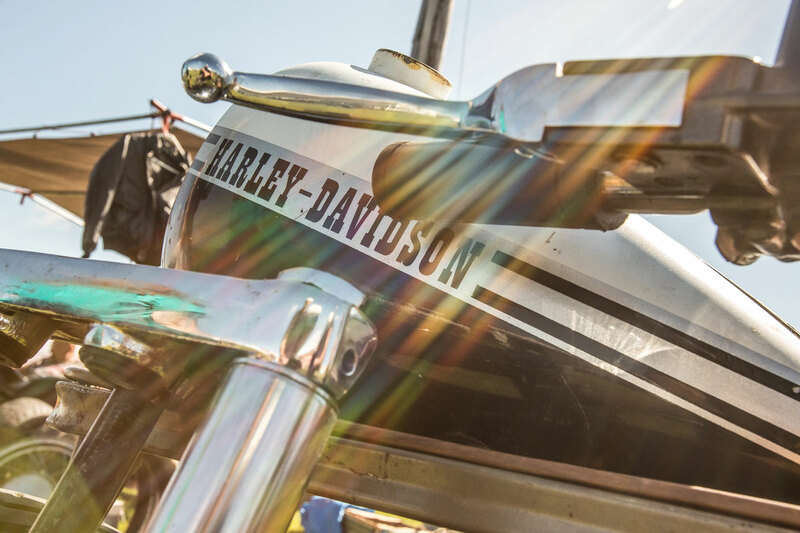 They have the famous Cal Rayborn/Denis Manning Harley-Davidson streamliner that set a record of 265 miles per hour in 1970. 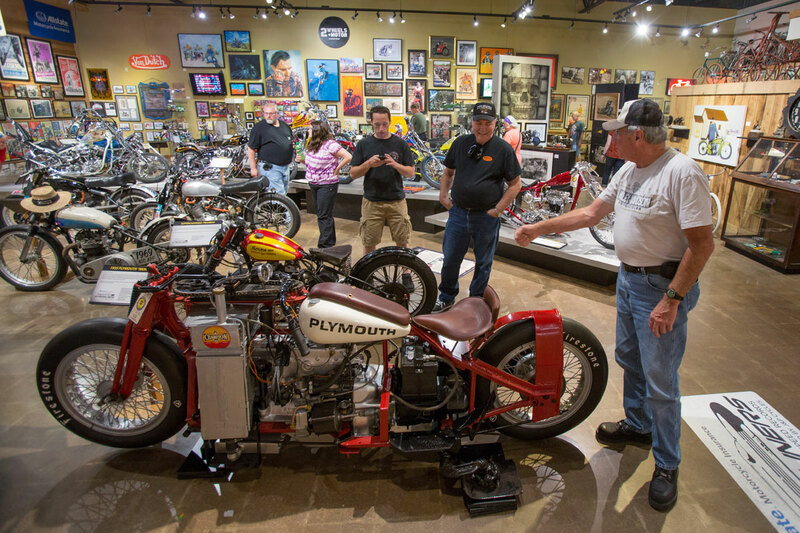 And there are various open bikes, some Vincents that prowled the salt but also an outrageous stretched Henderson frame with a Plymouth flathead six that ran 160+ at Bonneville in the mid-1930’s. 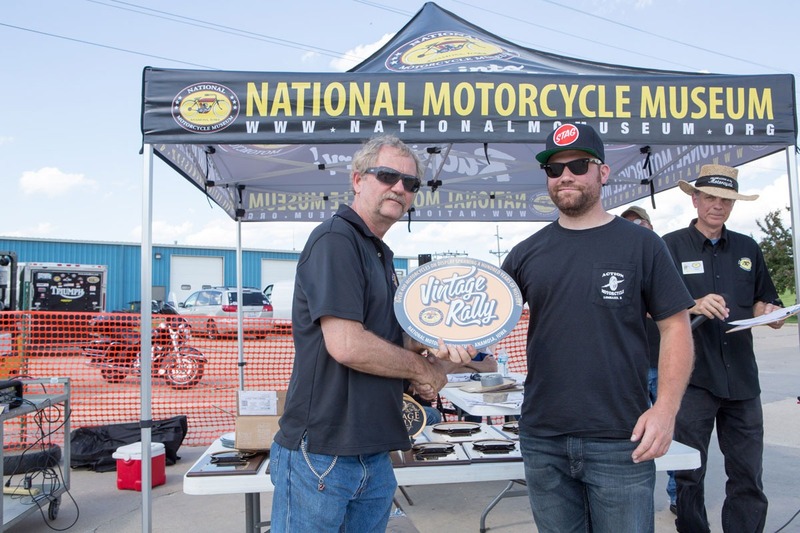 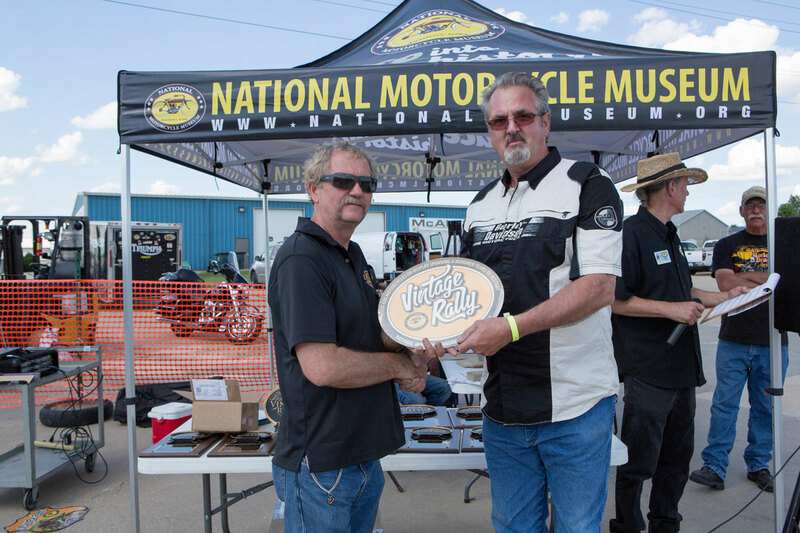 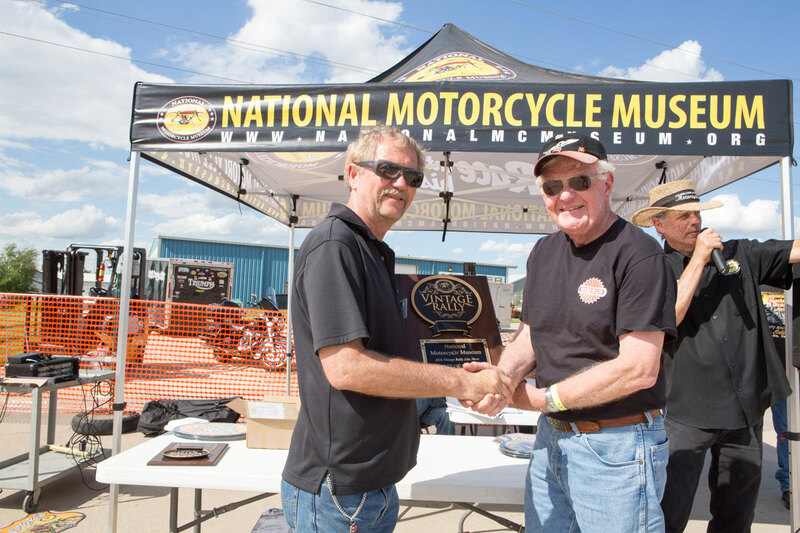 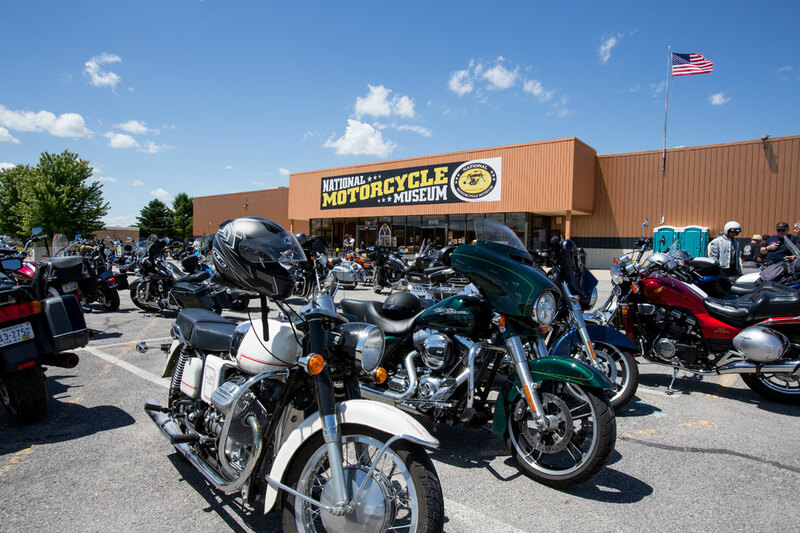 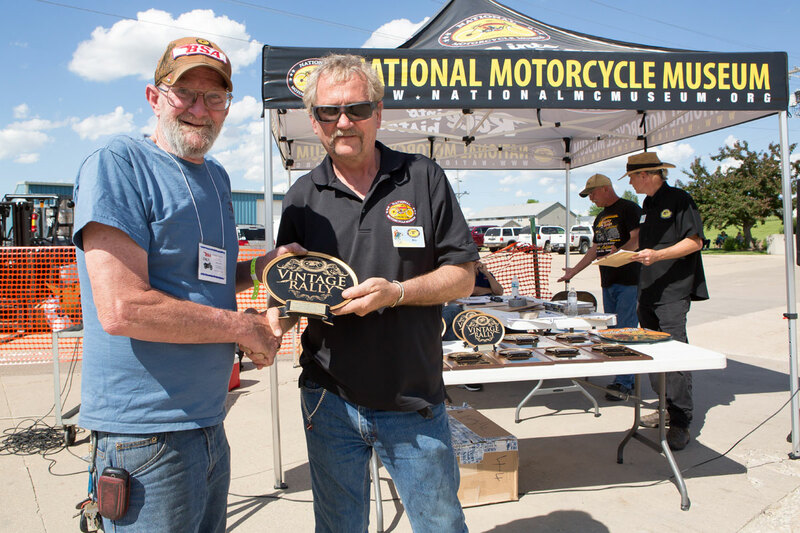 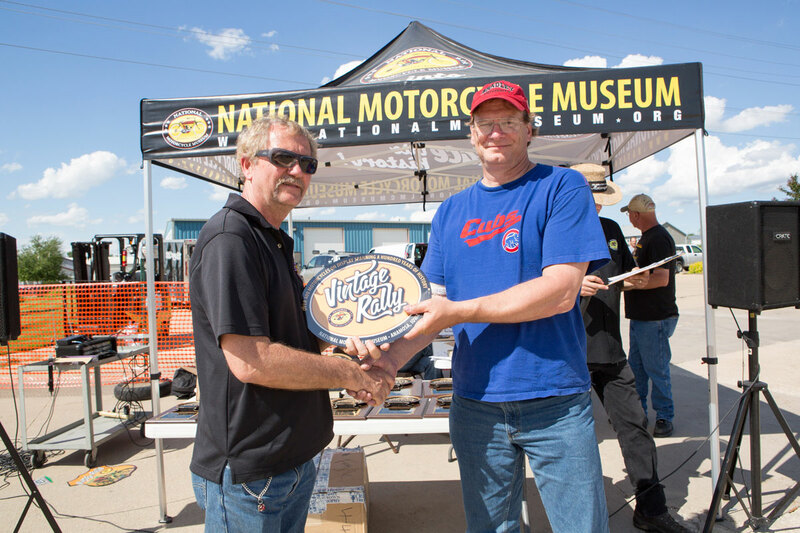 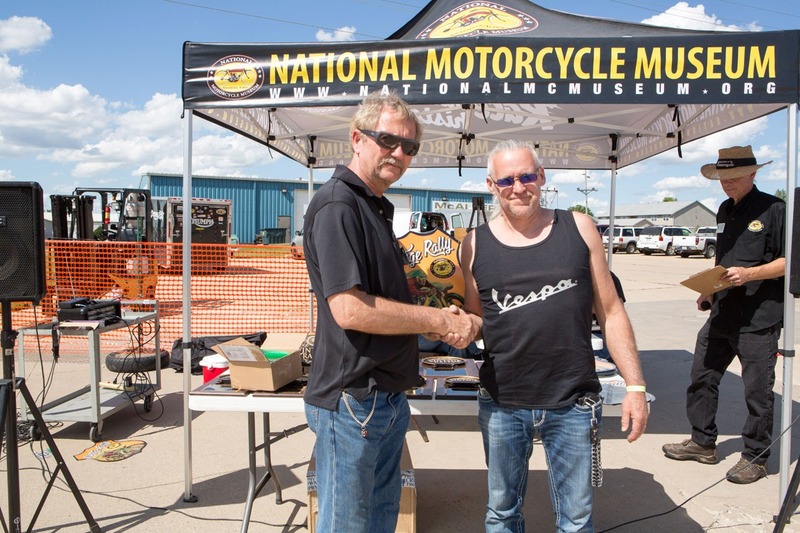 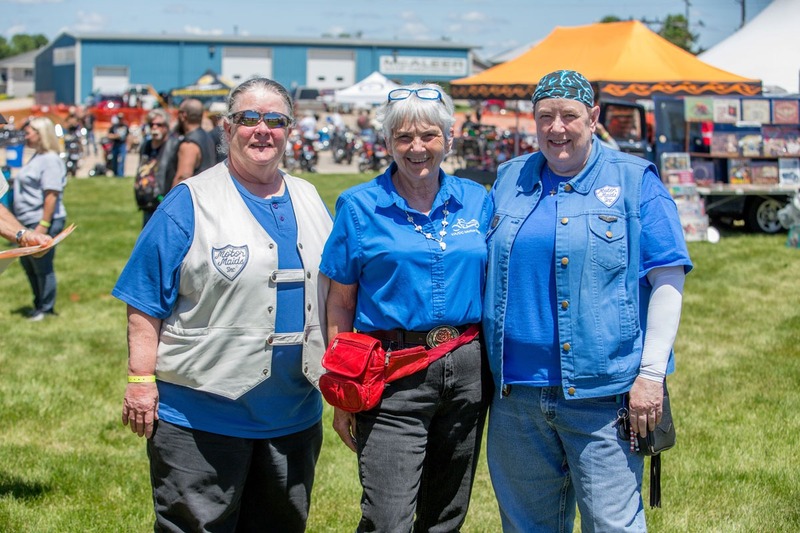 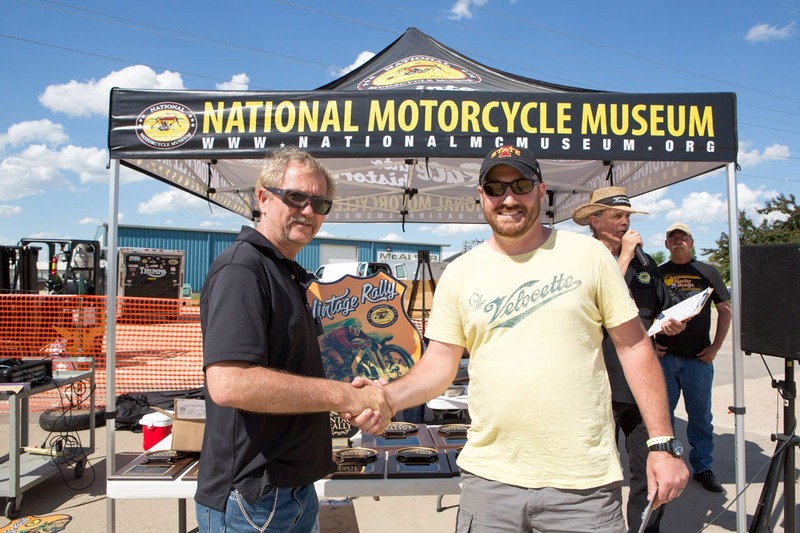 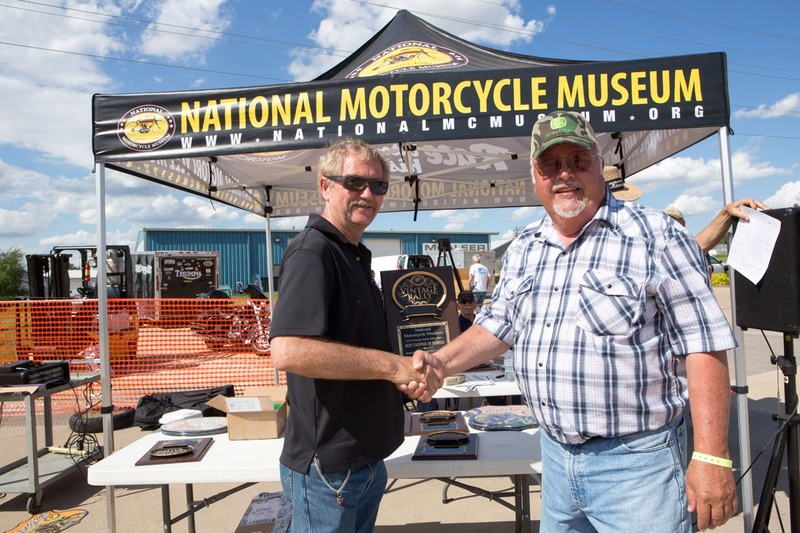 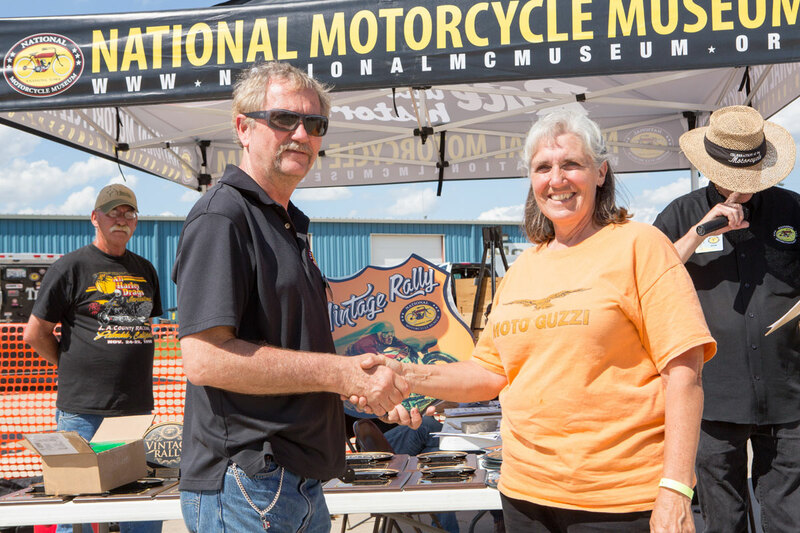 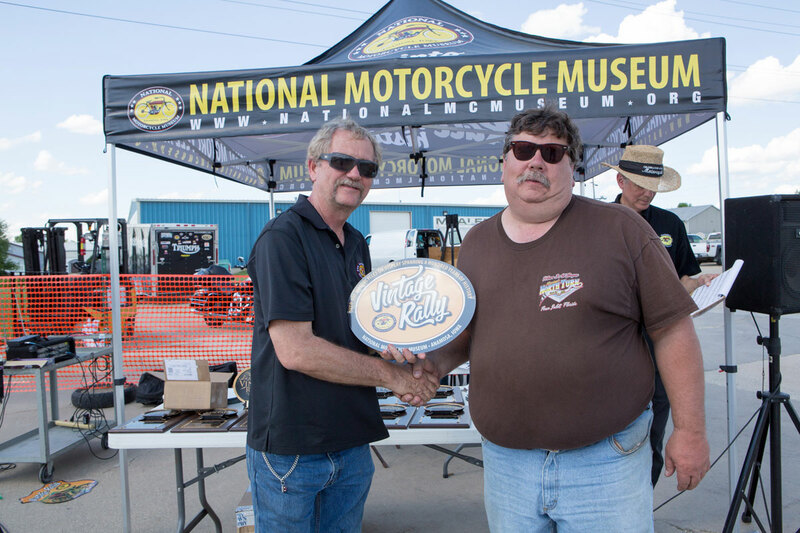 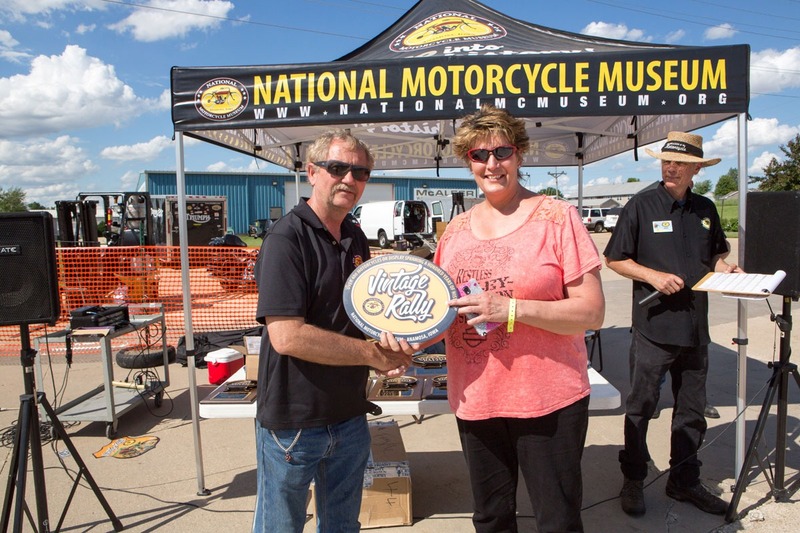 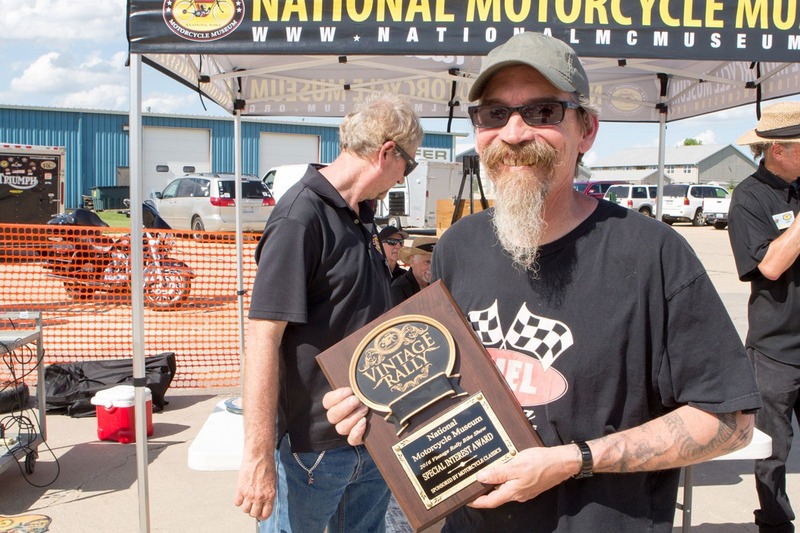 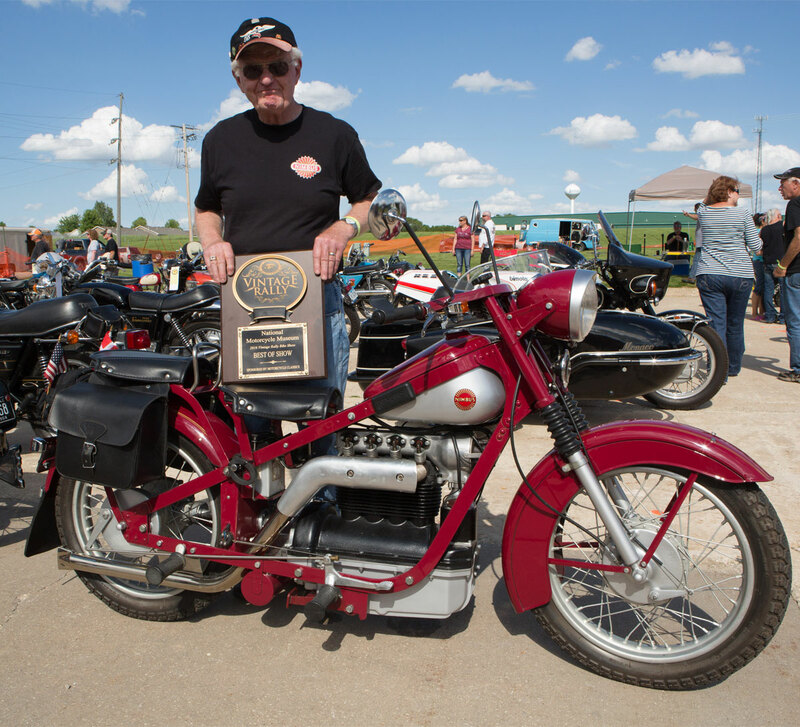 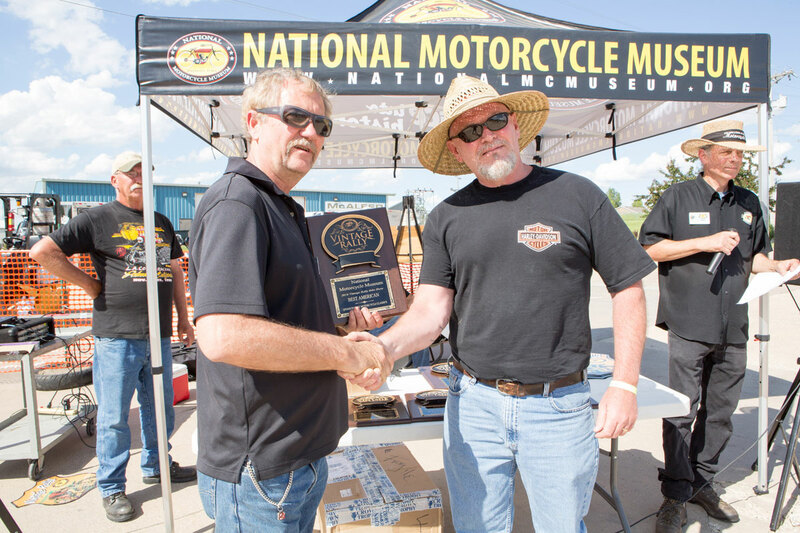 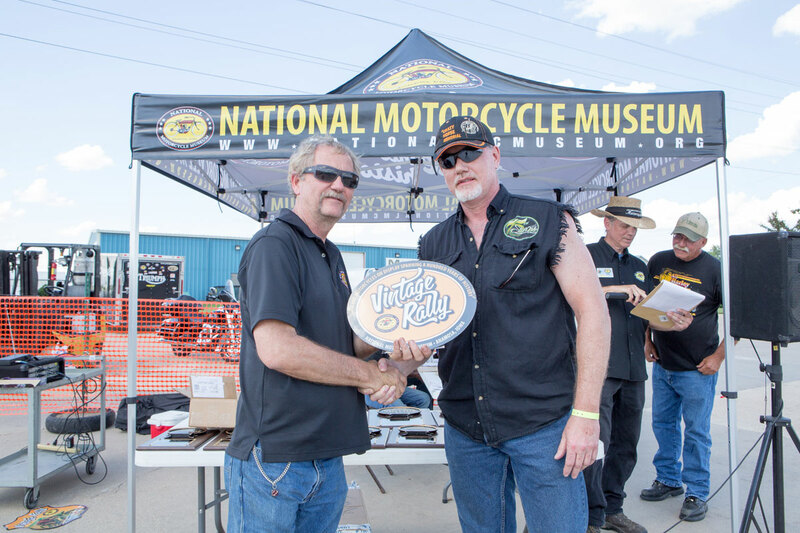 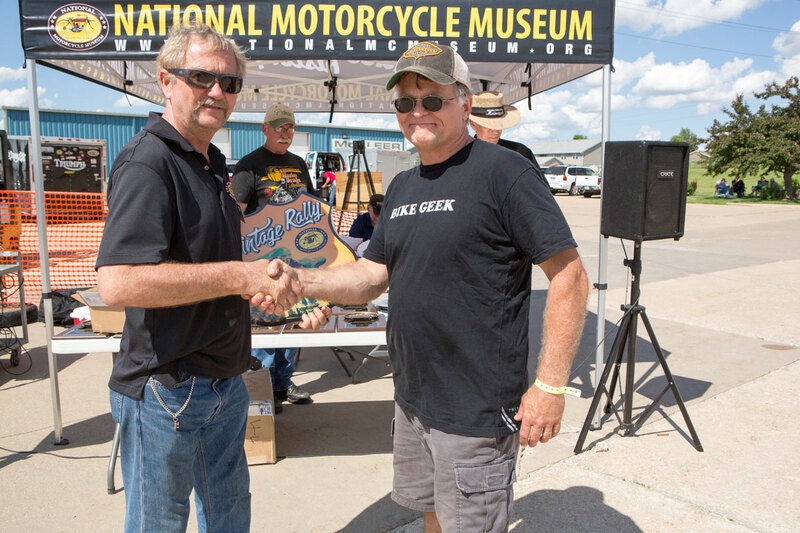 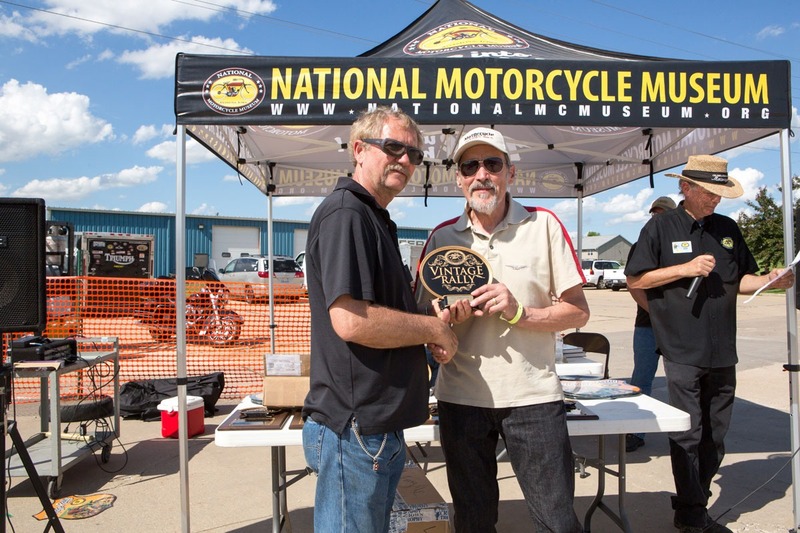 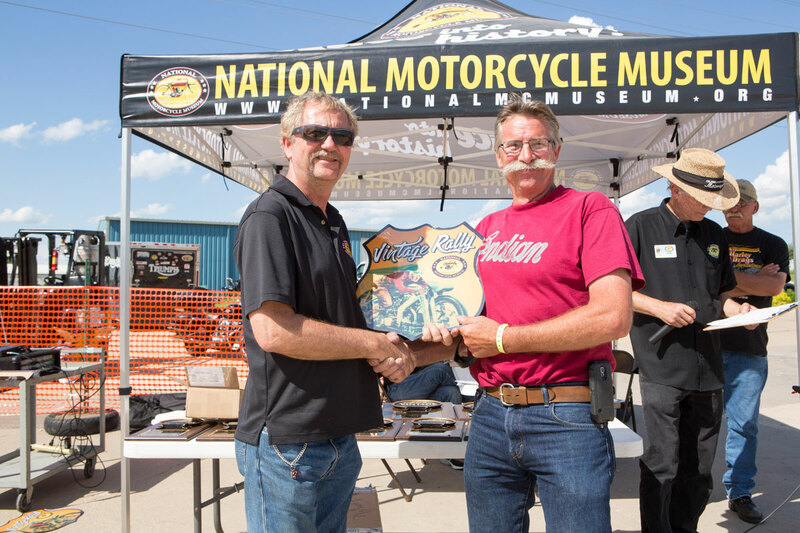 Check out some of the bike show winners and other shots from the fun-filled day!